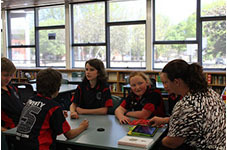 The Majura Primary Student Representative Council (SRC) meets once every fortnight with the SRC Coordinator. Each class is represented by two students who are democratically elected as aspiring to the school values and adhere to the roles and responsibilities of an SRC member. 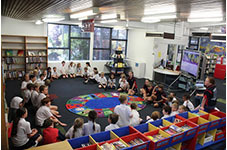 Students are elected at the beginning of each semester (Kindergarten join in Term 2) and given a school badge to acknowledge this achievement. Badges are returned at the end of each semester when new elections are held. 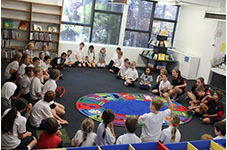 Classes hold class meetings on alternate weeks to allow issues to be raised and discussed with their peers and reported back through the SRC representatives. The SRC acts as a focus for student opinion and in the development and implementation of policies that directly affect students. SRC members are able to experience a leadership role in their school community by representing their class at SRC meetings and reporting back to their class on SRC discussions, decisions and developments.